The Rio Grande and Santa Fe had parallel lines between Denver and Pueblo. During WW-I, the Railway Administration made the two lines effectively double iron. The D&RGW and Santa Fe were joined and the Colorado & Southern gained trackage rights with them. The C&S was a subsidiary of the Chicago, Burlington and Quincy. Our film shows the variety of action on the line. 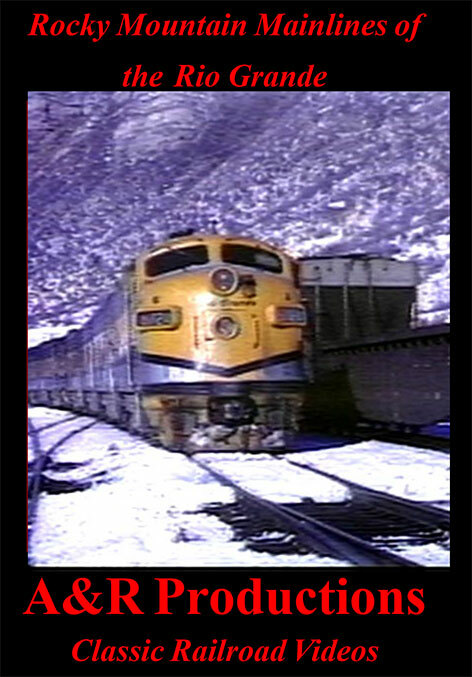 Rio Grande first and second generation diesels, Santa Fe cab units, CB&Q, Union Pacific and Burlington Northern in its infancy. The future of the Rio Grande's Tennessee Pass line today is in jeopardy but we take you back to a winter where second generation power was assisted over the Pass by covered wagon helpers based at Minturn. 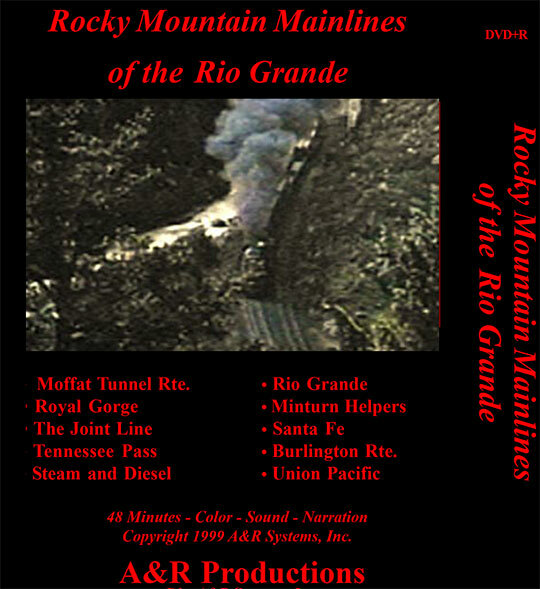 Sprinkled through the program for good measure are numerous runbys of Rio Grande steam- in the Royal Gorge and Redcliffe and more! This tape has great color images you won't want to miss. marshall tarlton (nc) on 2014-12-24 20:32:09. This is a wonderful look at rio grande. There are shot of standard gauge steam which is hard to come by. If like me and love everything d&rgw then get it.